Talking or text messaging while driving is already illegal in a number of states but that’s seemingly not enough for California officials. As such, lawmakers in The Golden State have passed a law making it illegal to use a hands-on mapping application on your phone while driving in an effort to help eliminate some of the grey area with regards to using electronic devices behind the wheel. 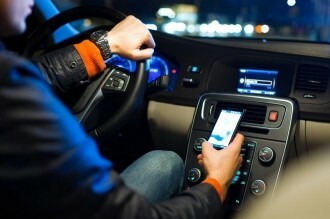 The new interpretation of the law from the appeals court essentially aims to eliminate virtually every possible use of a phone while driving in the state. Well, sort of. As it’s written, existing laws still permit those operating motor vehicles to place calls or send / receive text messages so long as the entire process is set up for hands-free access. That same loophole still applies to GPS navigation. For example, a driver could enter in the coordinates of their destination into their phone before setting out, place the device in a cradle, charging dock or heck, even on the passenger seat and enable voice-guided turn-by-turn navigation to assist with directions. There are still ways to get around using a touch-based GPS system, however. Many new cars come with touch-only GPS systems built into the dashboard which are still legal to use in California. Perhaps auto makers will be more mindful to try and integrate voice-activated controls in future models given the recent changes in the law. It’s still up for debate as to whether or not voice-guided directions are considered a distraction. The National Safety Council points out that there is no research or evidence that indicates voice-activated technologies eliminate or even reduce the distraction to the drivers’ mind.